When it comes to Hollywood marriages, we always assume that they are going to quickly end in divorce. Now, don’t get us wrong—we certainly don’t wish these stars ill. It’s just that it seems to be really tough to keep a relationship going under the scrutiny of the media spotlight. Nevertheless, there are a few examples of powerful couples putting their marriages first that we just love, like that of Jon Bon Jovi and his wife Dorothea Hurley. Believe it or not, this beautiful couple has actually managed to stay together for 27 years! As a matter of fact, the two are high school sweethearts, having first met in their hometown of Sayreville, New Jersey. 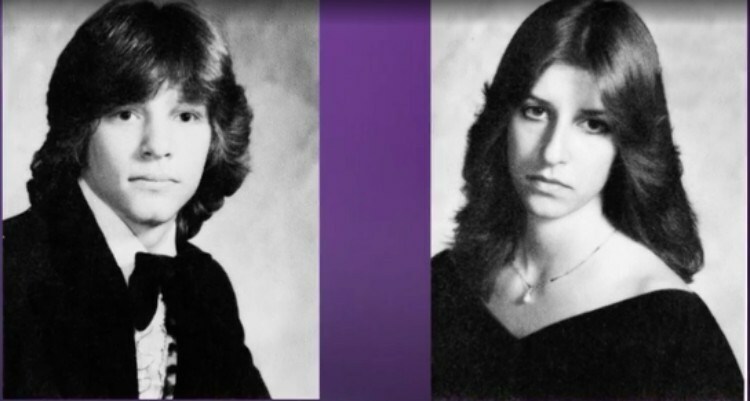 What makes Jon and Dorothea’s story even cuter is the fact that the two didn’t tie the knot when they were young kids straight out of school. In fact, the couple waited several years, and actually said their “I dos” at the height of Bon Jovi’s fame, in 1989. He then goes on to point out that he is far from being the only musician to stick with his wife after becoming famous. Rockers like Bono and Bruce Springsteen are also proud members of the “One Wife Club”. Jon asserts that a lot of what makes their relationship work has to do with “growth.” “We grew equally and not in opposite directions,” he muses. The mere facts of this love story just don’t do the tale justice. To see Jon Bon Jovi gush about his long-time bride for yourself, be sure to click on the video below. These love birds are so inspiring—we are really rooting for them! What do you think of Jon Bon Jovi and his wife Dorothea’s long Hollywood marriage? Did his secrets behind their happy marriage surprise you? Who is your favorite long-time Hollywood couple? Tell us all about your thoughts and experiences in the comments section below!